"¿Quién Recicla?" (QR // Who Recycles?) 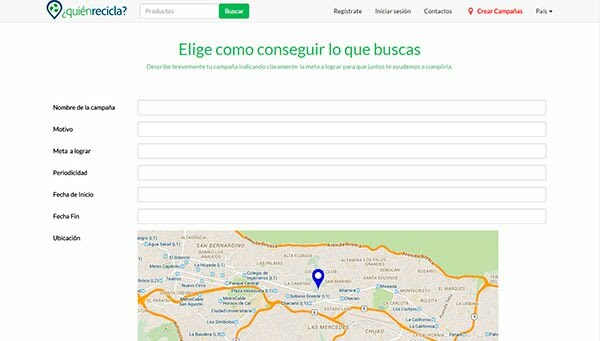 is a web application designed to help citizens interested in trading or donating recycled materials or goods in Spanish-speaking world cities. 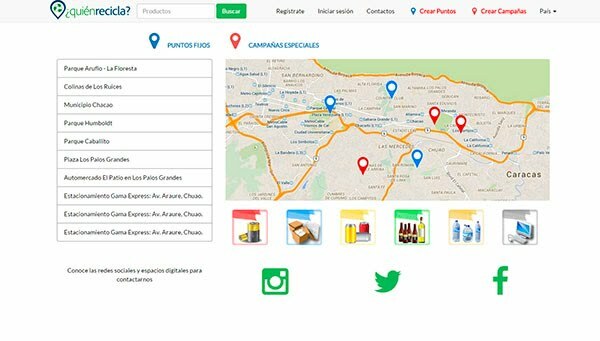 Recycling Points (“Puntos de Reciclaje”): allows users to list recycling points within or near their communities (neighborhood/equivalent residential area in their city). This information is stored in a database that (using the Google Maps API, v. 3) allows users to visualize the location of these points and instantly get important data related to them: working times and received material types in each point, plus ongoing not-for-profit recycling campaigns led by other QR users . A search engine (for especific and educational videos on recycling are also included. 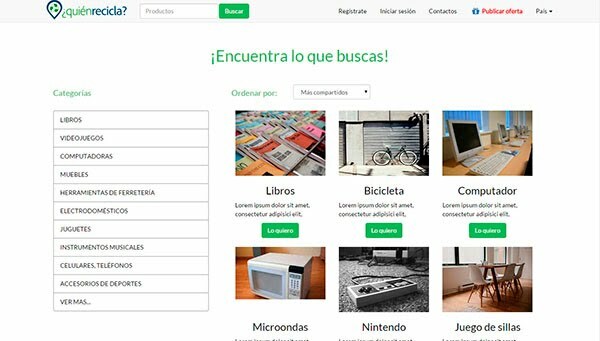 Marketplace (“Mercado de Cosas Usadas”): using an open-source and secure e-commerce platform (Prestashop), users will be able to list and/or buy or sell raw materials or products, according to our category list. New listings will be listed for a small fee, in a one-time transaction. 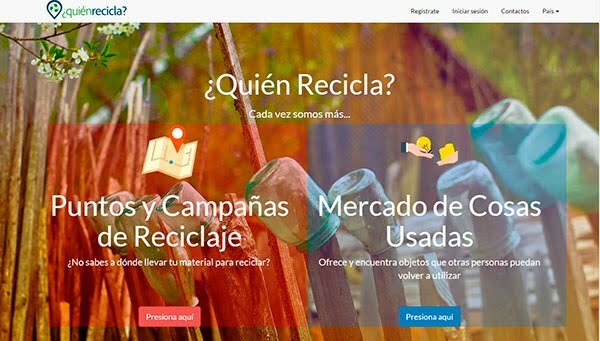 Campaigns (“Campañas”): users interested in using recycling initiatives for a not-for-profit initiative can develop their campaigns using our platform and also share it through the most-known social networks. Campaign listings are completely free of charge. Each QR transaction holds value for its clients: carbon footprint data (provided, under an open license, by the non-profit organization Global Footprint Network) possible economic revenue (Marketplace service). This will particularly support Who Recycles? running costs. QR intends to incorporate new features in the near future, such as: mobile version, additional languages and custom-facilities for possible allies (e.g. public and private sectors).